We've said it before and we'll say it again... We love where we live! Especially as we're strolling around South of Broad drinking in all that this historic neighborhood has to offer. We are fascinated by the variety of architectural styles, in awe of the preservation, and proud to call this city home. These stately homes are a feast for the eyes. But for us, one house in particular stands out from the crowd; The Colonel John A.S. Ashe House located at 26 South Battery. The soft blue hue on the home's exterior compliments the cerulean skies above, the allure of this grand house captivates the imagination of days gone by. You are immediately beckoned in by its sheer size and the double piazzas featuring a L-shaped asymmetrical plan with pedimented front gable and arched wooden loggias. 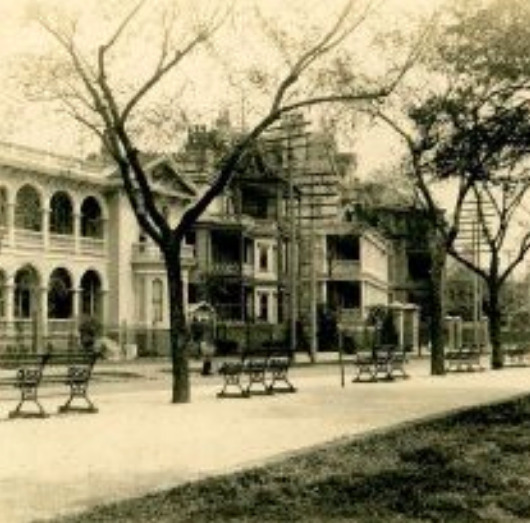 26 South Battery was built at a time when Italian architecture and design were all the rage. 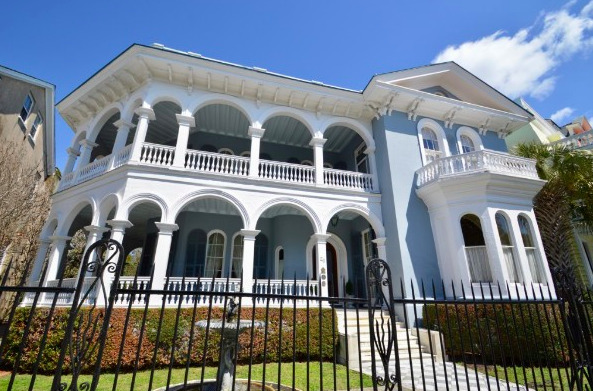 The home you see today is one of the finest surviving Italianate structures erected in Charleston before the Civil War. 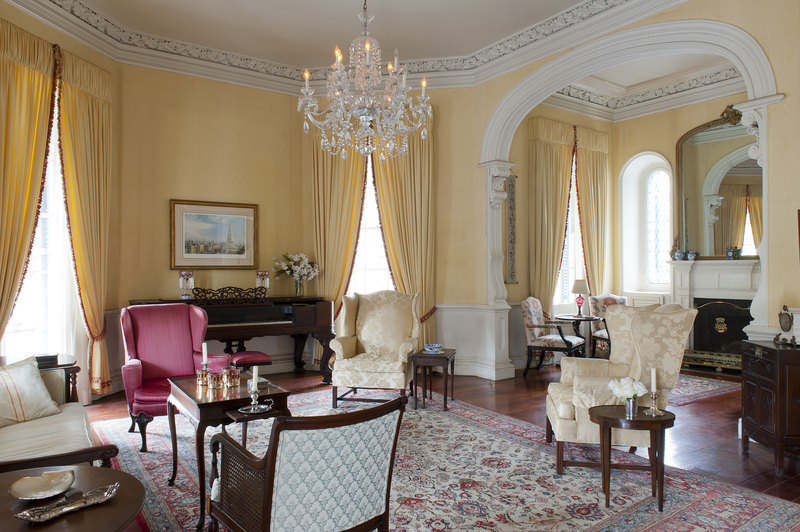 Designed by famed Charleston architect, Edward C. Jones, this nod to European style was built for John A.S. Ashe, a wealthy banker and South Carolina politician, who inherited the land and $10,000 from his father to build this stately work of art. A letter appearing July 1, 1853 in the Charleston Courier signed "Justice", expresses what people at that time were saying: "Col. Ashe's residence - South Bay is a Gem." The writer cites Jones for his skill and art as an Architect. The interior of the home is designed to mirror the asymmetrical design of the facade. Inside features large high-ceiling rooms, heavy detailing and ornamentation that suggests its intended use should of been that be that of a social nature. But a different kind of calling card was soon left on the doorstep; opening a new chapter in the home's history. The Civil War. In 1864, Union General John P. Hatch came calling in the lowcountry. Hatch, was assigned to the Department of the South where he was in charge of operations. That November, he led federal forces at the Battle of Honey Hill in an attempt to cut the Charleston & Savannah Railroad. His men encountered Confederate militia and were eventually forced to retreat. After the loss, General Hatch began operations with General William T. Sherman in the Georgia-Carolinas campaign and took part in the attack on Charleston. 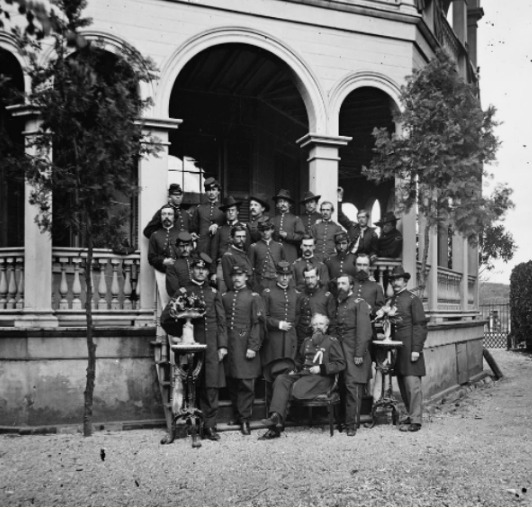 Following the city's surrender, Hatch assumed military command, seizing the South Battery property as his headquarters; eventually leaving the city in August of 1865. The Col. John A.S. Ashe House survived the Civil War and exited unscathed in the 1886 earthquake which leveled much of Charleston. The likelihood of survival, according to an article in the Post & Courier written by Robert Stockton, was "based on the fact the construction features thick masonry walls, stuccoed, and a 16-inch foundation of brick. No evidence of earthquake bolts have been uncovered." Stockton's 1975 piece titled Italian Architecture Mania Typified at 26 South Battery painted a beautiful picture of this opulent house. 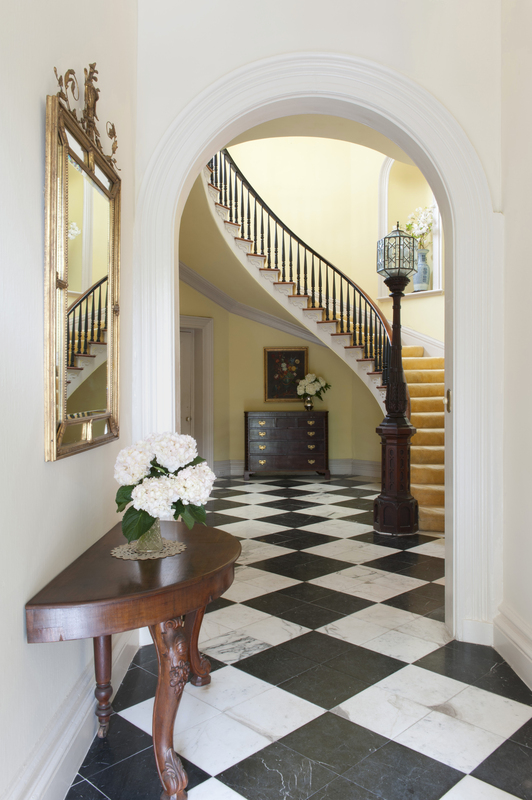 "The entrance hall and stair hall are tiled; the rest of the flooring is Cypress," wrote Stockton. "Leaded glass remains in the arched windows of the drawing room alcove; the skylight is of opaque glass." 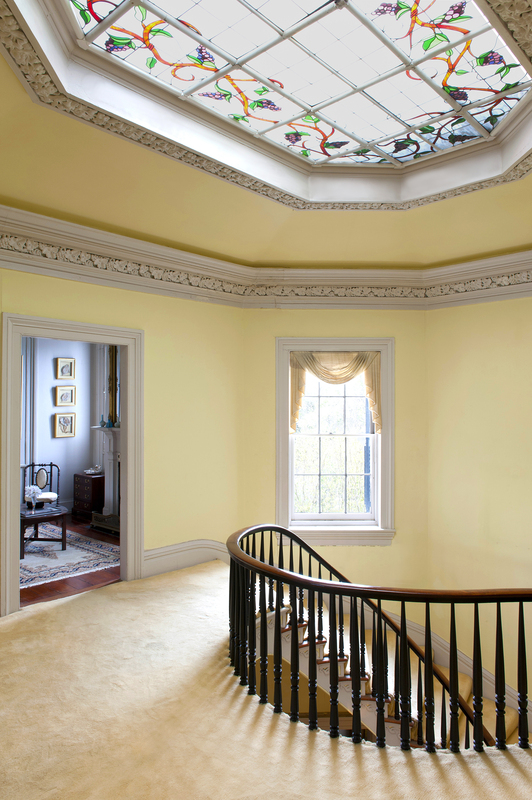 In the 1980s the current owner of the house commissioned an artist to replace the opaque skylight with stained glass depicting a grape and arbor motif; which matches the moldings in the stairwell. 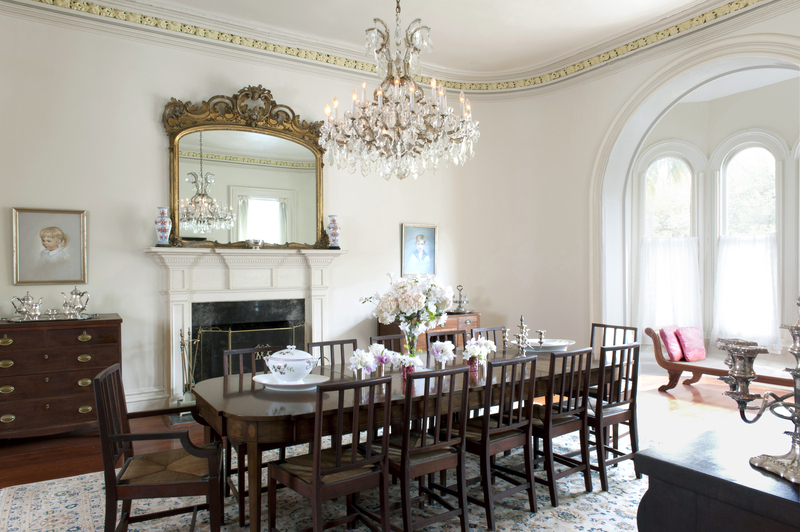 We recently invited southern photographer and author Susan Sully to tour this 7 bedroom, 5 1/2 bath grand dame. Her light filled photos capture the architect's attention to detail and design. 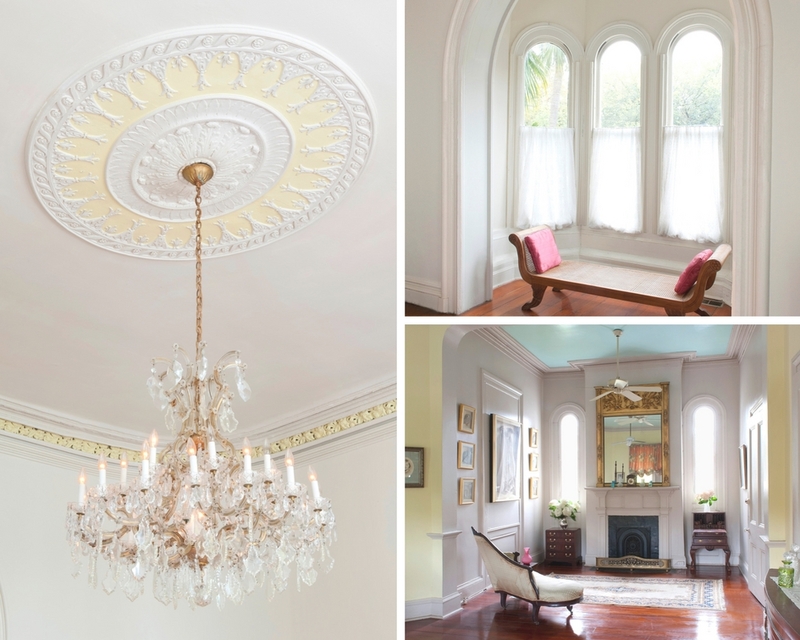 From the intricate plaster ceiling medallions and molding to the octagon-shaped drawing room, Sully's images capture the essence of Italian architectural style. 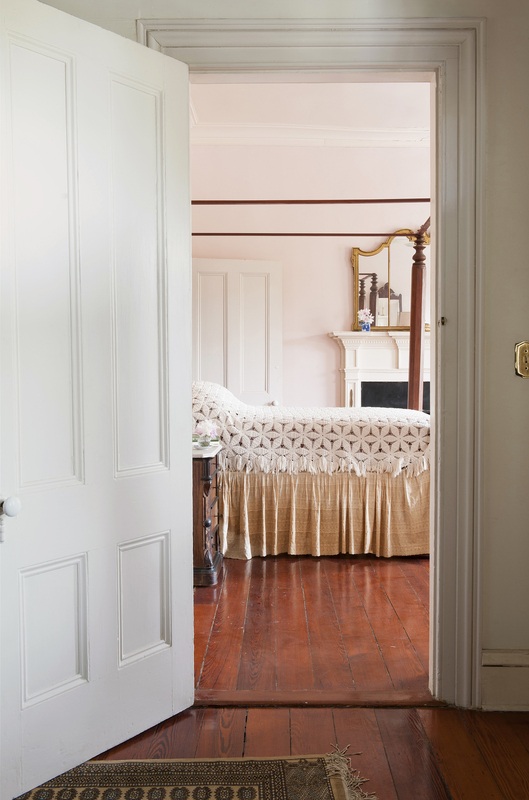 Sure there are modern touches throughout the home, but what we really love about this historic property is the artistic beauty that each room bears. 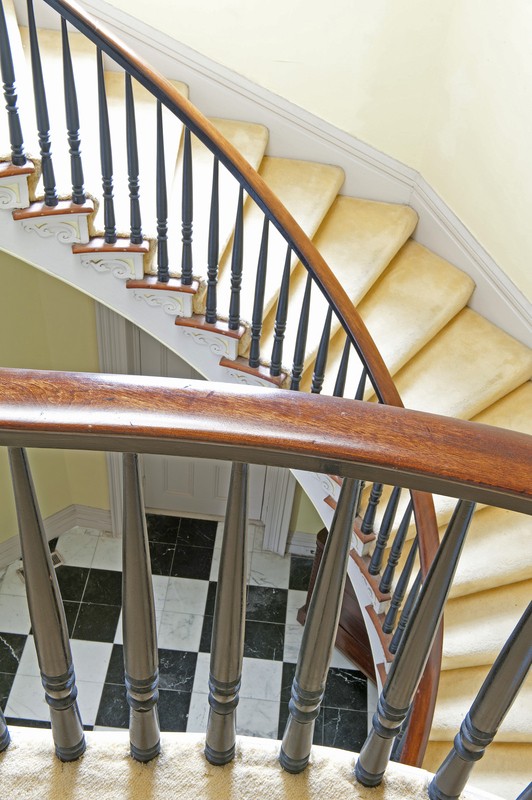 Can't you just picture Scarlett O'Hara racing down this glorious staircase with a cascade of ruffles and silk flowing behind? We can! 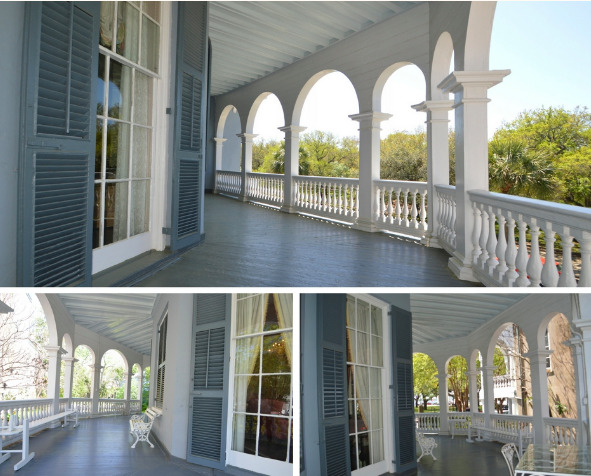 Lois Lane Properties is pleased to offer 26 South Battery for sale. For a showing, contact Lois at 843-270-2797.